Click & Grow smart garden technology makes it easy to grow herbs and flowers indoors with very minimal effort on your part. The idea of a “smart” garden is super attractive to me. I’ll be the first to admit that my thumb is closer to black than it is to green. Last year, in my attempts to grow some herbs for my kitchen, I killed mint. Yes, mint. For those of you out there who are not gardeners, mint is invasive, like a weed, and nearly impossible to kill. I found a way. Yet, I do like fresh herbs and vegetables, so I’ve been looking for a solution to my natural plant-killing tendencies. 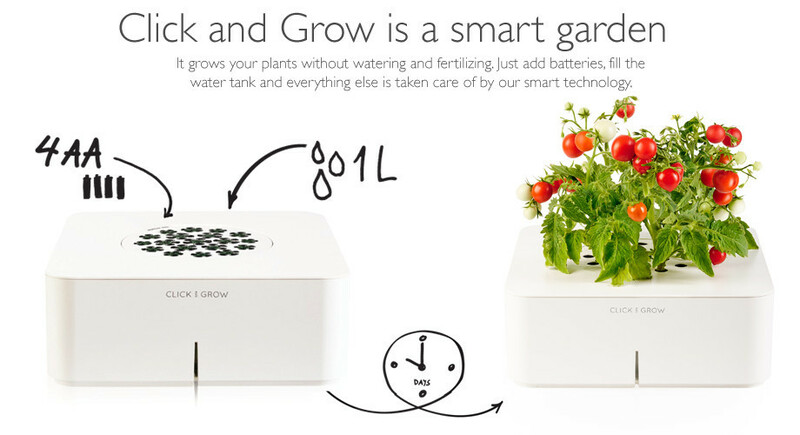 A Click & Grow Smart Garden might be just what I need! Skydog is a new router and mobile app allowing you to optimize Internet performance and monitor how your family is spending time online. Want to take back control of your family’s Internet usage? 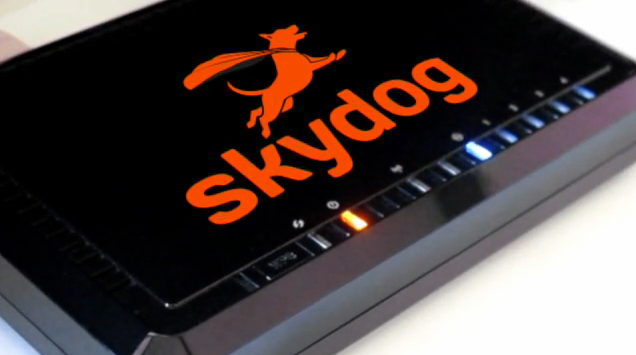 Check out the successfully-funded Kickstarter project Skydog. Skydog is a new router and moblie app from PowerCloud Systems that allows you to see who is using the Internet and how. By using the mobile app, you can set up an alerts system, which is perfect for parents who want to ensure that their kids aren’t spending too much time online. Skydog can also help you analyze Internet performance so you can better handle problems as they arise. The 3Doodler is the first 3D printing pen in the world, making 3D printing affordable from the comfort of your own home for the first time. 3D printing technology has possible applications in just about every industry, from fashion to healthcare to automotive. But what if you could, in an affordable way, print your 3D creations from the comfort of your own home, much like we can print text documents or images now? 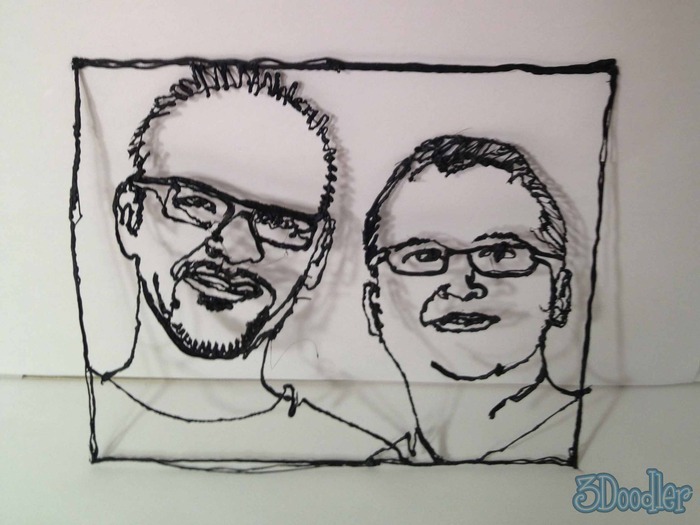 The first step in making personal at-home 3D printing affordable for consumers is here: 3Doodler, a cool new 3D printing pen from WobbleWorks. The Barman is a new device for your home bar that makes pouring your favorite drinks, even complicated recipes, easy. If you’re anything like me, you like hosting people at your house more than you like going out to the bar. The problem? Unless one of your guests is an experienced bartender the drinks are always either sub-par or require a lot of tedious measuring to make. Now, the Barman is available to help us homebodies pour the perfect drink every time. 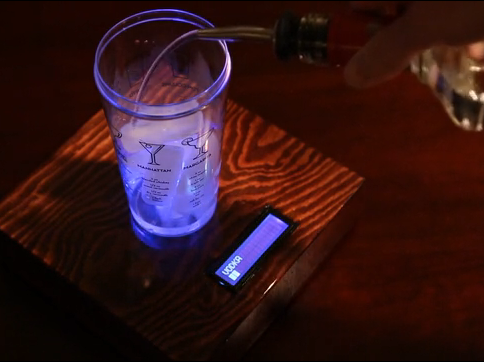 This project was recently successfully funded on Kickstarter and adds a little high-tech fun to any home bar! StoryPress is a new mobile app that makes it easy to record, save, and share your life story via a recorded diary or prompted interviews. When someone passes away, so much personal and family history is lost. StoryPress is a new app that hopes to combat this problem. 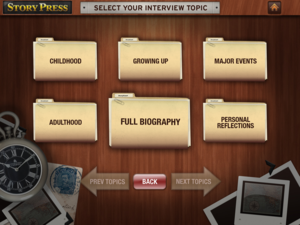 By recording your story with this easy-to-use tool, you can capture that special spoken history for future generations. 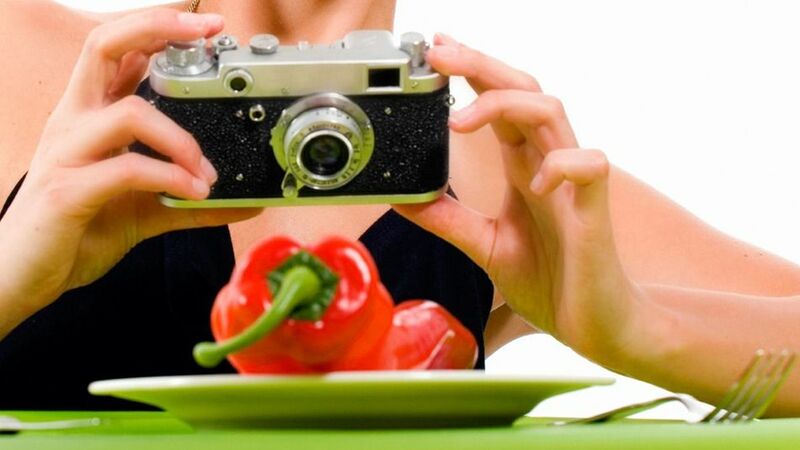 Give Your Calories is a new app from Action Against Hunger that allows you to “donate” your calories to help end world hunger. I had a teacher in elementary school who was fond of yelling that whenever we didn’t eat our vegetables during lunchtime, and it never made much sense to me. It wasn’t like she was going to wrap up my leftovers and ship them to malnourished children in third-world countries! But as I got older, I realized that what she really meant is that we should appreciate what we have. 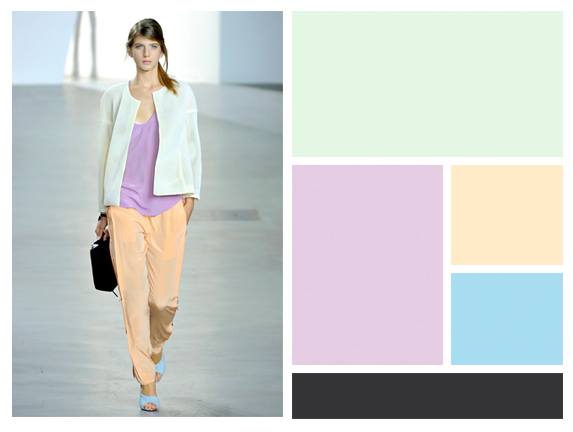 Why wearing bright colors is at the top of my list for attaining and maintaining success in all areas of life. I’m trying something new here. Whether you ‘like’ it or hate it will, in part, dictate where this leads (hint: if you like where this is going, like the post!). FixMeUp is a new dating/matchmaking application for Facebook that utilizes the connections and the relationships that you already have to help you make the new ones that you want. By now, you or someone you know has tried an online dating service – and let’s all be honest, it’s a pretty strange scene. From being propositioned by strangers behind murky images to trying in vain to pull off a three-line text-message pick-up, the online dating market has been in chaos, with more disappointments and failures than successes. Many of these sites boil dating down to a virtual people auction that often leaves users feeling vulnerable, confused, and disconnected – and a little more lonely than when they started. If your goal is becoming a world-wide famous poet, perhaps you need to dream bigger. How about becoming a famous intergalactic poet instead? NASA is currently seeking poetry to send to Mars as part of a campaign to raise awareness for their Mars Atmosphere and Volatile Evolution (MAVEN) spacecraft launch, scheduled for November. Specifically, they’re looking for haiku submissions, and the three winners will be included on a DVD that is sent to the red planet. The names of everyone who submits an entry will also be included on the DVD. Appy Couple is a wedding app that allows you to connect with your guests to invite them to events and easily distribute details about the big day. Planning upcoming nuptials? Check out the Appy Couple wedding app. 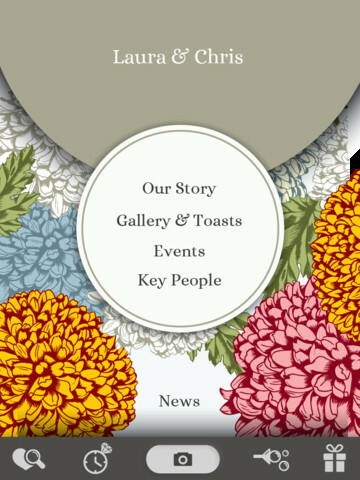 This is an all-in-one solution for sharing all of your wedding info with your guests. Instead of signing up for several services (I hate that, don’t you? ), you can take care of everything with one single wedding app.